Conversion rate optimization (CRO) has highest ROI. 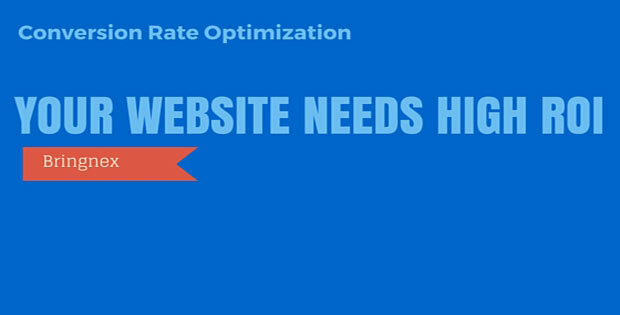 Still 26% of companies lack a strategy to boost their website conversion rate! Companies with a structured approach towards optimizing website for highest conversion rates are twice likely to increase their sales. What are the different technologies and techniques which you consider to be a part of the CRO process? I have found instances where companies are having five figure unique traffic every month, but struggle to monetize! If you are in the same boat, here is the essential tips for optimizing your conversion rates. In SEO and Internet Marketing, it is a term used to define a system or process of understanding customer’s feedback and web analytics data for increasing the percentage of visitors to a website that converts into business leads. Conversion rate optimization is an ever evolving process and one of the important metric in defining your success as e-commerce or lead generation website. Conversion optimization help generates more money with the same traffic. Who does not like? Why do you need a CRO Strategy? 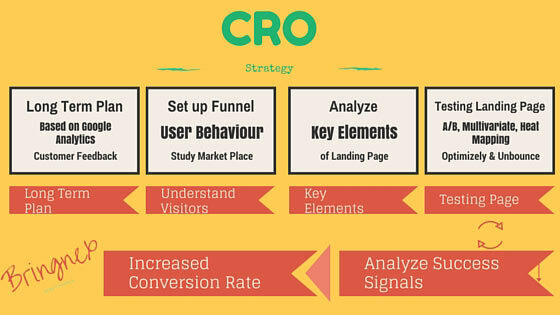 CRO is important for better ROI, finding more visitors and it is free. It is a process of capitalizing on your existing traffic and getting maximum out of it. If you already have a great conversation rate than also there is always room for improvements. Paid advertising is one of the quick and easy practice to generate leads, but it is getting more costly and competitive. CRO helps to maximize profits by reducing Customer acquisition cost and increasing the right kind of customers for your business. CRO helps generate more sales for product and services. Generate more leads for potentially paying customers or ad campaigns. For best results in long run data should be given priority rather than some basic tactics based on assumptions! When it comes to conversion optimization most of the professionals and agencies end up implementing basic suggestions and quick fixes such as changing button color, implementing the same changes which have worked for others, making some changes in copy and adding images etc., but no clear CRO plan based on web analytics data or customers feedback. Lower and lower conversion rates? Then there is something wrong with your design, buyer’s journey and persona understanding, User experience, and trust! You must be doing something wrong even if you are able to drive lots of traffic. What the data means before actually trying to fix them. Identify probable reasons based on the data. Construct a plan of action to test and rectify those reasons. Analyze the outcome and use it again to form a hypothesis to test. This is a continuous and ongoing process of increasing conversion rate. Use web analytics tools like Google Analytics to understand user behavior, page views, and exit page. And based on that analyze the traffic sources, the intent of content published there and optimize it to best fit for your buyers journey awareness, interest, decision/ action, and delight stages. Also take this as an opportunity to cut unwanted traffic sources by blocking or deleting which is generating automatic, or bogus traffic. 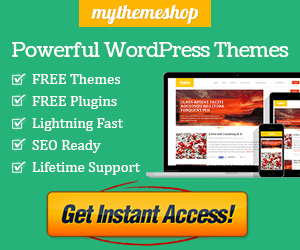 Click here for more advanced tools to optimize your existing traffic. Identify where people are not converting, analyze the landing pages and exit pages of your website to identify the missing link. Tools like Google analytics, Kissmetrics, Funnel analysis and Omniture. Check what happens once people are at your website. Use tools like click tale, crazy egg, heat maps and user testing to know the most clicked areas on your website. This will help you understand what your visitors are looking for and how you can help them find it. It is obvious for every business to identify its marketplace, customer type, customer’s problems and solutions these customers are looking for. Checking for existing information available at your research, sales and customer service divisions. Speak to your customer service agents to find out common problems and barriers. Conducting surveys using online survey tools like Survey Monkey, Qualaroo – inline survey in your web pages, PollDaddy – user-friendly polling software etc. The Biggest problem in the path of conversion rate optimization for your website is a little or absolute no traffic. There has to be traffic to drive people to your marketing or sales funnel. Few recommendations to build traffic to your website. Quality Content – Use blog posts to build quality content and to promote your landing pages. PR and articles to authority web site are another way of driving traffic to your website. Keyword Strategy – Include intent based, and relevant keywords to pages to rank well in SERPs results driving high web traffic. Social Signals and Proof – Build your social media following to derive more traffic. There are several key elements in your landing page which contribute for high or low conversion rates. Make sure every element is optimized at is best based on your buyers persona, matching your offerings, easy navigation and enhanced user experience. The Headline – Your landing page headline should comply with your promotions, offering, and customer’s needs. If should be made attractive, easy to read and which attract attention. Lead Image – High-quality image reflecting the intent of the page. User Benefits or Proof Points – Listing benefits which so ever is laid out in the headlines and promotions. The copy should articulate the promise. Eye-catching, clickable call-to-action (CTA) – Depending on the need include an appropriate call to action. Use short forms, 2 or multi-step forms navigating customers close to the sales funnel. Length forms have more abandonment rate. Select your form fields wisely. Social Proof – Social proofs are psychologically helpful in decision-making process for the audience. Third-party Endorsement – to create trust and confidence use copy which shows association and trust of the audience. Features list of clients with logo can help build authority. Attractive Design – Landing pages should be clear, concise and uncluttered which convey high professionalism and trustworthiness to customers. Tips – Don’t put more call to actions to your landing page. It will only confuse your visitors leading more abandonment rate. A lot of tools are available to test your landing pages on different metrics. Here is a list of top 5 tools best in the business. The most basic and essential tool is Google Analytics. It is one of the most popular tools used by global marketers, approximate 73% of marketers use Google Analytics for A/B Testing (Source: Forbes). A/B testing is best option to compare your current version of a landing page with the new version with changes. And the best part is, it’s FREE. To learn more check this step by step guide. Google Multivariate testing is used to fine tune your landing pages. Ideally it should be used after A/B testing to test few different variable changes on the landing pages. It is best to visualize where your visitors are clicking. It provides high-end insights on your design requirements and improving conversation rate and engagement. Learn more on heat mapping. Enterprise-level A/B testing and personalization for the web and mobile apps. It provides marketers the ability to design, test and analyze your audience behavior. It works best for small business. It is a paid tool which enables marketers build and customize high converting landing pages without relying or engaging the technical team. Indicators like split test percentages, reduced bounce rates and improved conversation rate are the strong signal of improvements. Tip: Optimize your conversion rates for mobile, smartphone and tablet visits to be gain more in long-run.